This sheet-pan Honey Mustard Chicken is perfect for an easy and delicious dinner. 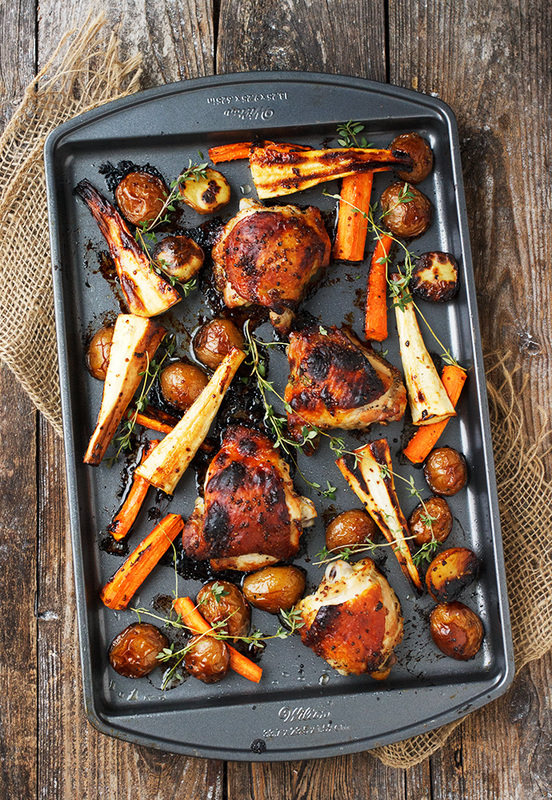 This one features honey mustard chicken thighs, carrots, parsnips and mini potatoes, all tossed in a honey mustard marinade and roasted together on a sheet pan! 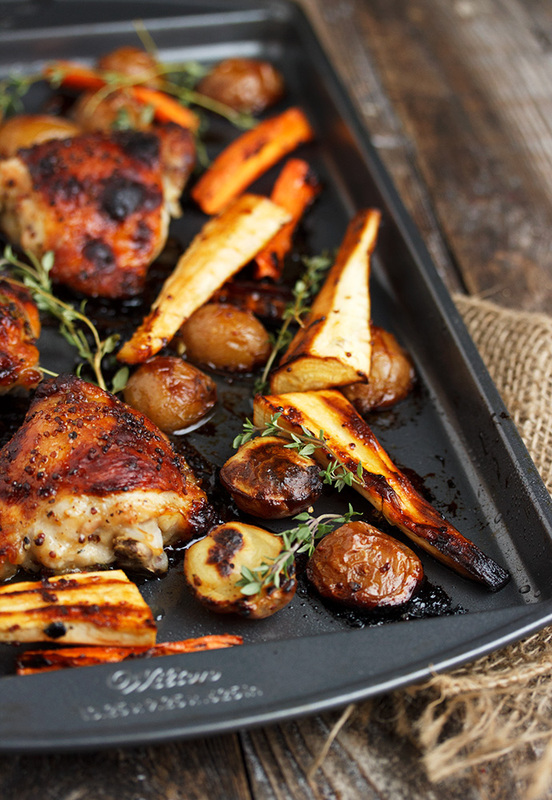 I have developed a fondness for the sheet-pan chicken dinner, partly because of how easy they are, but also because I just love roasted vegetables. 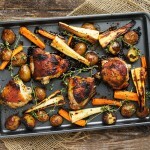 There is truly no better way to enjoy vegetables, in my opinion :) This sheet-pan dinner, adapted from a Delicious magazine recipe, features flavourful skin-on/bone-in chicken thighs, together with carrots, parsnips and mini red potatoes. They are all tossed in a honey mustard marinade and roasted until beautifully caramelized. The honey in the marinade helps to caramelize both the chicken and the vegetables, while the bit of grainy mustard provides an extra bit of flavour. (The mustard flavour is fairly subtle, so even kids will like this one, I think). 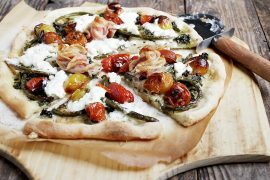 Perfect for an easy weeknight meal, with lots of vegetables as a bonus. 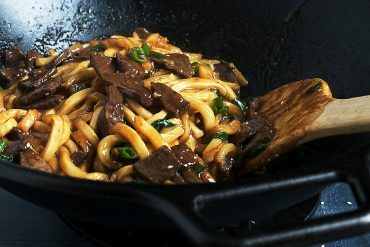 Be sure to browse the “Cook’s Notes” below the recipe as well, for some additional thoughts and tips for this recipe. Sheet-pan dinners are ideal weeknight meals. With just a little chopping, a little tossing, then on to a sheet-pan to roast away in the oven, when it’s done, your meat, vegetables and potatoes are all ready with just one (or two :) pans! Just a quick note about my actual sheet pans. A while back I picked up two sheet pans that are a bit smaller than usual, but the absolute best thing about them is that they fit side-by-side into my oven, so I don’t have to do the upper/lower rack thing. I LOVE that and wished I’d done it years ago. So handy for dishes like this, as well as cookies etc. I didn’t line my sheet pans with foil this time, but only because foil doesn’t translate well in photographs. I would do so normally though, to make clean up quick and easy. I wanted to have some green in my sheet pan dinner, but on the day I went to the grocery store the offering of broccoli was looking pretty ratty and there was no broccolini (tender-stem broccoli) either. It would make a great addition to this dish though, if you like. Any whole grain mustard is fine (mustard with whole mustard seeds in it). I love Maille’s a l’ancienne. 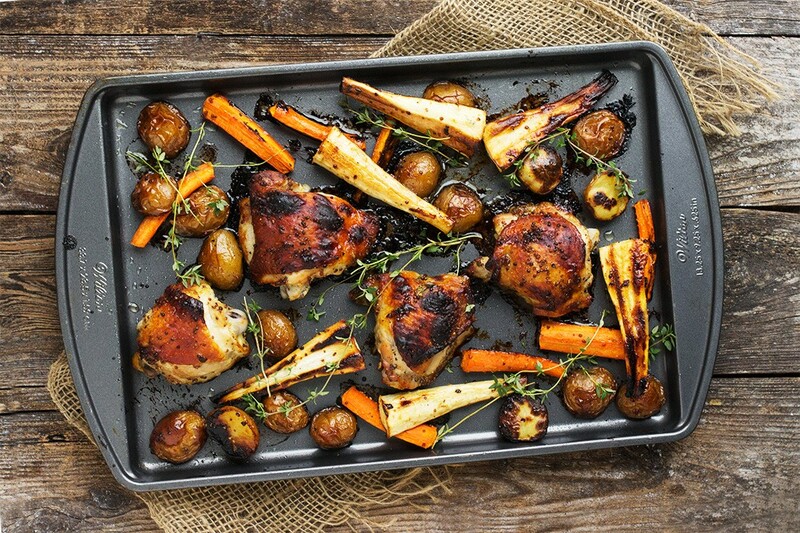 An easy and delicious sheet-pan dinner, with lots of vegetables and flavourful chicken thighs roasted until caramelized in a honey mustard marinade. 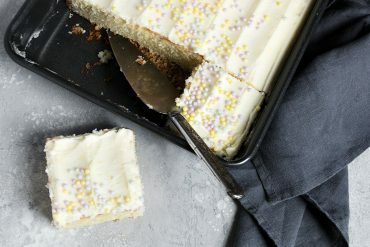 Line your baking sheets with foil for easy clean-up. Cooking time may vary depending on the size of your vegetables/chicken. Heat the oven to 400° F. with racks in upper and lower third of oven (unless your sheet pans will fit on one rack side-by-side). Rub olive oil onto 2 baking sheets with oil (or line with aluminum foil and oil the foil, for easy clean up!). Set aside. Bake for 20 minutes, then remove both sheet pans from the oven and flip the carrots, parsnips and potatoes over so they can brown on the other side. Leave the chicken as is. Return to the oven changing oven rack positions if you are using two racks, and bake for an additional 15-20 minutes, or until vegetables are caramelized and the chicken juices run clear. 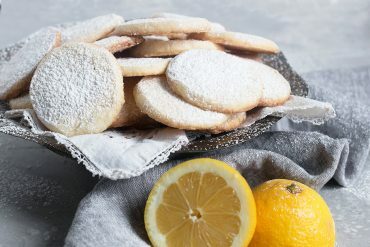 Serve garnished with additional thyme sprigs or leaves and lemon slices, if desired. 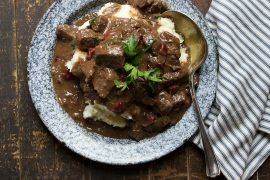 I just discovered your site a couple of weeks ago and I have made half a dozen of your recipes so far, eager to change up our dinner routine and every single one of them has been delicious! I think I’ve re-pinned most of your Pinterest board ? Thanks for the delicious recipes and the variety! My family is truly enjoying them! This looks incredible! One of my favorite dinners is baked veggies and chicken thighs, but I’ve never done it with honey mustard! 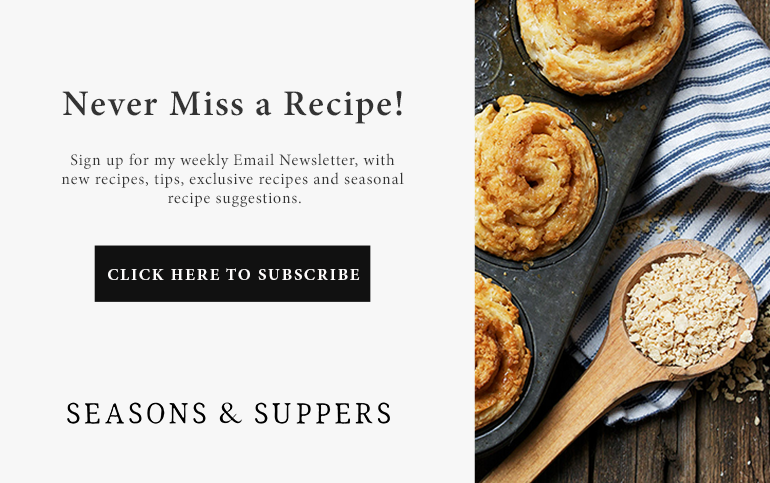 Loving your new “cook’s notes” on the blog :) My mouth is watering! My bf and I are always looking for new ways to cook chicken. This updated classic is a keeper! What a great dinner idea! That honey mustard marinade sounds fabulous too :). What a wonderful dinner! I adore chicken with mustard and roasted parsnips! 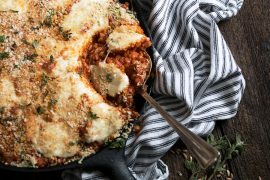 The color is beautiful and I am into this one pan thing :) Everybody will love this recipe! Sheet pan dinners are fabulous Jennifer! 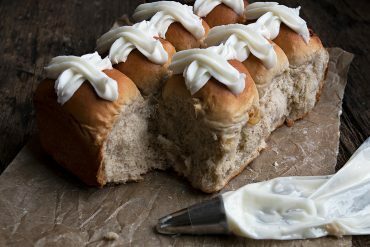 So easy and always so tasty! I’m a big fan of roasted vegetables too, so this one will be added to my list! Thanks Mary Ann. 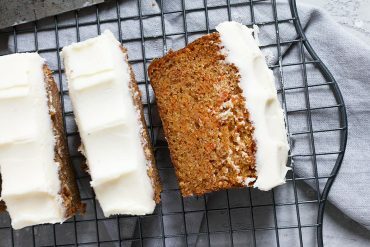 This one is simple, but seriously delicious! With just the 2 of us at home now and being of advanced age, 1 pot/sheet pan dinners are wonderful..
A honey/mustard marinade is so full of flavorful goodness..
Added to my winter list of easy, delicious meals..
Hi Ross, There are only 2 of us at home here, too (most of the time – daughter in college and still comes home for good meals ;), so works so well for us, as well. Enjoy!